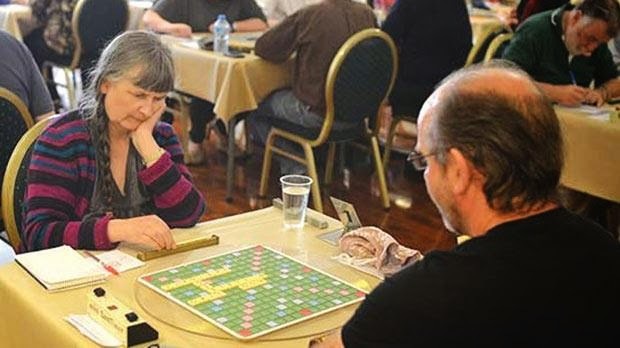 Times of Malta 12/06/2014: The seventh Malta International Scrabble Open, held on the 30th anniversary of the Malta Scrabble Club, attracted 62 players from 12 countries. The three-day, 24-game tournament saw Scottish players dominate the Elite category and Maltese players excel in the B competition. Scotland’s Allan Simmons quickly raced ahead of all his opponents to record 15 consecutive wins before conceding his first defeat. Eventually, he only lost five games to finish as the tournament winner with two rounds to spare. Simmons’s team-mates, Simon Gillam and Helen Gipson, fought it out for the...read on.